Hello Stampers! 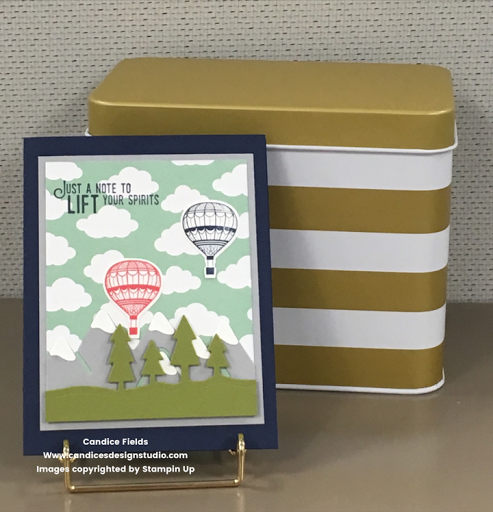 Today's card has to be one of favorites because I combined the Lift Me Up bundle and the Outdoor Adventures framelits. It was so easy to create! Some tips for creating this card! 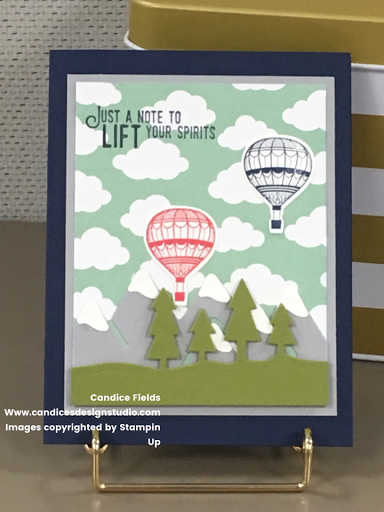 Use Stampin dimensional when adhering the trees to create the illusion that the mountains are further away.